received in his lifetime and posthumously. Photo courtesy of Su Cote. "Splish Splash" and "Queen of the Hop." Record of the Year "Mack the Knife" and "Best New Artist of the Year." "Mack the Knife" and "Dream Lover." Award for "Personality of the Year." New Star of the Year Come September. Best Rhythm & Blues recording, "What'd I'd Say." Actor in a Leading Role Pressure Point. Nomination for "Top Male New Personality." Actor in a Supporting Role Captain Newman, M.D. Won Best Foreign Actor for Captain Newman, M.D. Nomination for Top Male Supporting Actor for Captain Newman M.D. Original Song: "That Funny Feeling." Best Contemporary (Rock & Roll) Solo Performance. as two of Atlantic's most important stars. 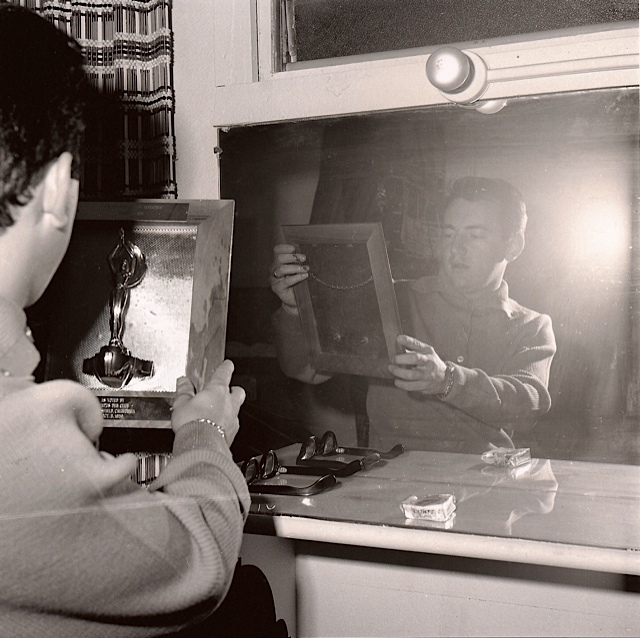 "Heaven Swings...when Mr. Darin sings"
"Bobby Darin: Beyond the Song" airs. Bobby's "Mack the Knife" receives the honor. Scholarship in Bobby's name is revived. Dodd Darin accepts award for his Dad. Certificate of Excellence as Best Music DVD. Bobby is honored as "an inspiration and a great performer." Premiere of the Bobby Darin movie. and to raise funds for the Children's Heart Foundation of Nevada. Bobby is honored with the Lifetime Achievement Award! Dodd Darin accepts the award for his dad. 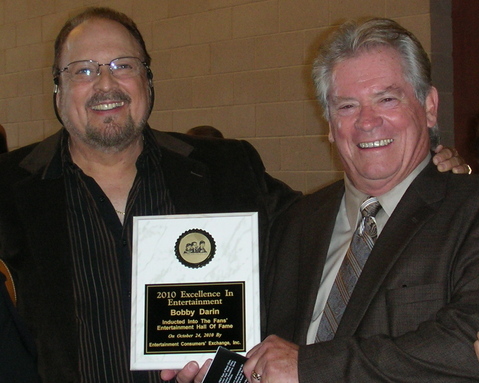 Bobby is honored for his excellence in entertainment. accepted the award for Bobby. Library of Congress National Recording Registry . "Mack the Knife" is inducted.